This NOTD post is kind of cheating as these are gel nails that I got done on Saturday in a salon. But I felt they were too pretty not to share with you girls. Whenever I get gel nails done I always get a simple french manicure as it matches everything and always makes your nails look taken care of. Anyway I don't know what came over me this weekend. I decided I wanted a change and this is what ended up with. I love them. Another reason why I decided to share this NOTD on my blog is because these nail would be really simple to recreate regular nail varnish and some sequins. 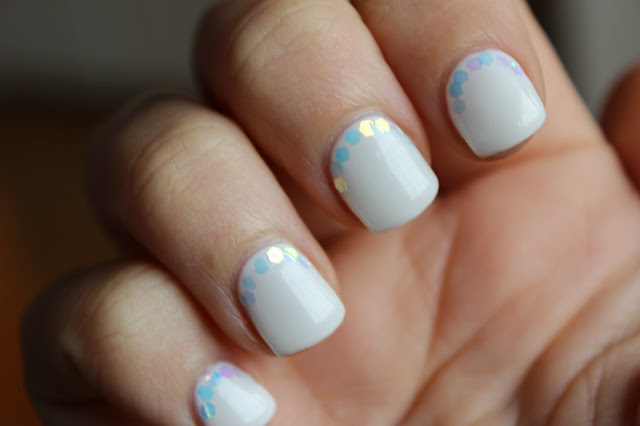 On my nails I have stark white gel and then I have little sequins placed at the base. I think they are really girly and look so pretty when they catch the light. 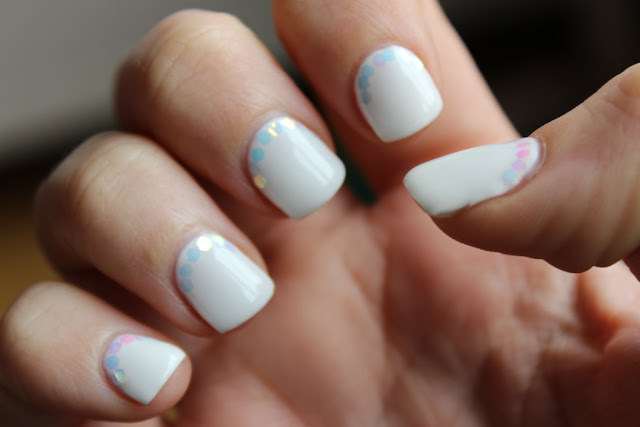 Have you girls done any blog posts on nail art? I think it is going to be a new addiction of mine. Leave me some links below I would love to see some pretty nail art. They really are so pretty! Love it! Ohhh I love this mani! It's so pretty!!! They are super pretty! 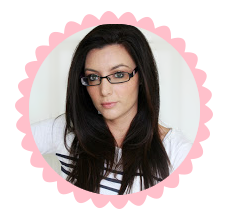 Thanks for sharing :) Dropping by from the Monday Beauties Blog Hop. Wow, its fantastic and I really love nail arts and its one of my passion.